The President of Poland has announced that a constitutional referendum will be held in 2018. This is surprising for at least two reasons. First, according to the Polish Constitution, a constitutional referendum is held after a bill of amendment is drawn up, to allow the nation to either accept or reject it. This makes very good sense, as any amendments to the Constitution should have as much public support as possible. The Constitution itself requires amendments to its main provisions to be approved in a referendum – providing a democratic safety net against constitutional coups. However, the proposed referendum is to be held without a bill having been prepared and the issues on which the Polish nation is to be consulted are to involve directional issues, e.g. the choice of regime – presidential or parliamentary. It will therefore be a non-binding consultative referendum, not a constitutional referendum. Will it be worth it? A referendum is an expensive undertaking and the nation’s capacity to answer complex legal questions is limited. There also seems little sense in answering questions on individual constitutional issues without knowing the whole. The Constitution is a system and regime models may have different consequences depending on, e.g. the role of the courts and how elections are run. It’s a bit like deciding what the area of a house will be without knowing how many storeys or rooms it will have: it is difficult to give an opinion and a house built on the basis of agreement on one issue may be completely unsuitable for another reason. The second reason is more problematic. In light of a Constitutional Tribunal ruling passed in December 2015, the President is breaching the Polish Constitution every day by failing to take the oath of Tribunal judges appointed by the previous parliament (the ruling ordered the oath to be taken "without delay"). The current ruling party, which is also calling for the Constitution to be amended, has even bigger sins on its conscience. The question arises as to what authority those who have trampled on it without hesitation have to discuss the Constitution? Let’s imagine that acquaintances at a party at your house start breaking the crockery, throwing guests out and demolishing the house, after which they propose a discussion on the party organisation rules. There would not be much to talk about. There is one other question that should be considered, especially in light of the fact that the Polish government rejected the application of several hundred thousand citizens for a referendum on lower secondary school reform. If the current government had a majority allowing them to amend the Constitution, would it being asking the nation for advice on how to do so? I doubt it. So maybe the aim of this referendum is to seek legitimacy to make amendments for which there is no legitimacy? It is after all easier to gain support in a few general questions than to win an election with a majority enabling a constitutional change to be made. 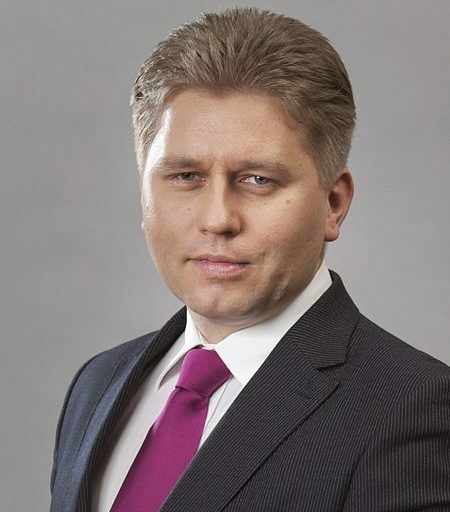 SUGGESTED CITATION Matczak, Marcin: Why the Announced Constitutional Referendum in Poland is not a Constitutional Referendum after all, VerfBlog, 2017/5/13, https://verfassungsblog.de/why-the-announced-constitutional-referendum-in-poland-is-not-a-constitutional-referendum-after-all/, DOI: https://dx.doi.org/10.17176/20170515-104400 .